Today we think of marketing as being driven by cutting-edge technology. 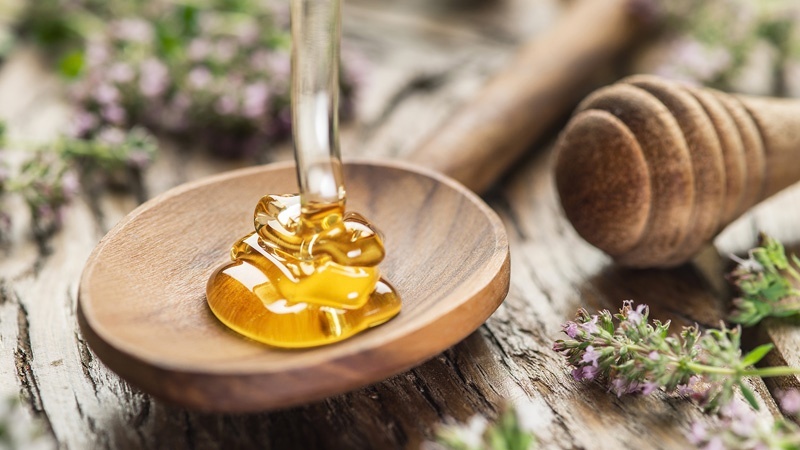 However, many of the most successful tactics we use in digital marketing are organic and go back to the early days of printing and publishing. Benjamin Franklin was a newspaper and pamphlet publisher in the American colonies who is referred to as the “Patron Saint of Advertising.” As publisher of The Pennsylvania Gazette, Franklin used paid advertising to bring down the price of the newspaper. In a time of lower literacy, Franklin managed to sell thousands of papers and pamphlets. Since the days of using printing presses, we’ve come a long way to now publishing on the internet, but many of the same marketing principles apply. Now, as in Ben Franklin’s day, the key to winning over customers and clients is addressing their pain points and conveying clear, concise messages that deliver value. To gain support for organizing the Pennsylvania militia, Franklin emphasized the abuse British soldiers inflicted on the colonists. Franklin encouraged public funding for a volunteer fire brigade by stressing that Boston’s Mutual Fire Societies, or Fire Clubs, only protected their members and not the general population. With public funds raised through Franklin’s efforts, a community hospital was founded to solve the problem of the poor and infirm wandering the streets. Instead of criticizing competitors, effective marketers must establish themselves as thought leaders. Like today’s marketers who publish informative blog posts and white papers, Franklin published brief and informative pamphlets as well as Poor Richard’s Almanack, which was filled with anecdotes, verses, and pithy statements about how to be frugal, industrious, and successful. The pamphlets Franklin published to promote his inventions, such as the Franklin stove, demonstrate successful marketing strategies that still work today. Much like bloggers use links to establish authority, Franklin used testimonials to support his argument about the virtues of his stove. Unlike many of the advertisements of the day, which were convoluted and technical, Franklin made his promotional pamphlets easy to read and conversational in tone. Short points, similar to bullet points, made his case. Thanks to his marketing strategies, the Franklin stove sold well despite its flaws. Not only was Franklin a master of words, he was also a pioneer of visual marketing. During the French and Indian War, he created the first known political cartoon. His “Join or Die” cartoon consisted of an image of a cut up snake that represented the colonies and stressed the need for unity. Later, the same cartoon was used to protest the Stamp Act. Franklin also used graphics in his pamphlet for the Franklin stove. You shouldn’t blog just to blog. Consider how the content you develop fits into an overall strategy. 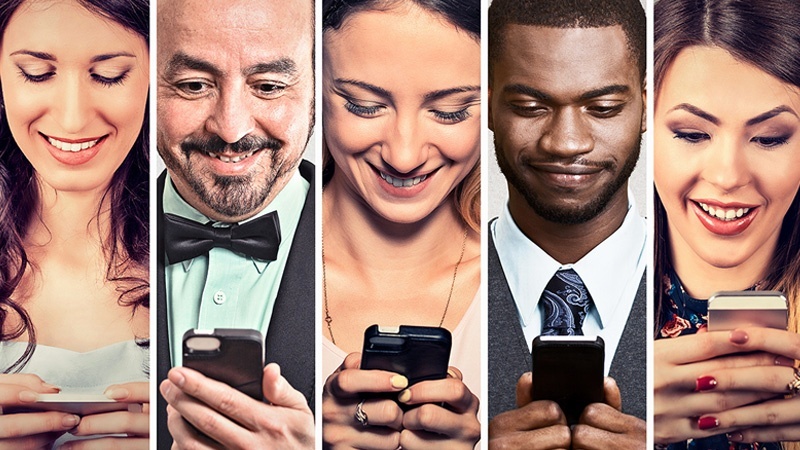 Keep in mind your target personas and where they are in the buyer’s journey. Make sure your content provides real value for your readers. The marketing landscape is always changing. New channels emerge all the time that provide opportunities to interact with customers and clients. Each channel requires a unique method of communication. Twitter forces you to be concise. YouTube requires you to use video. To be a successful marketer, you need to adapt your message while conveying a consistent voice for your brand. Your company provides a unique value to the consumer. Make sure your marketing content emphasizes your differentiators. 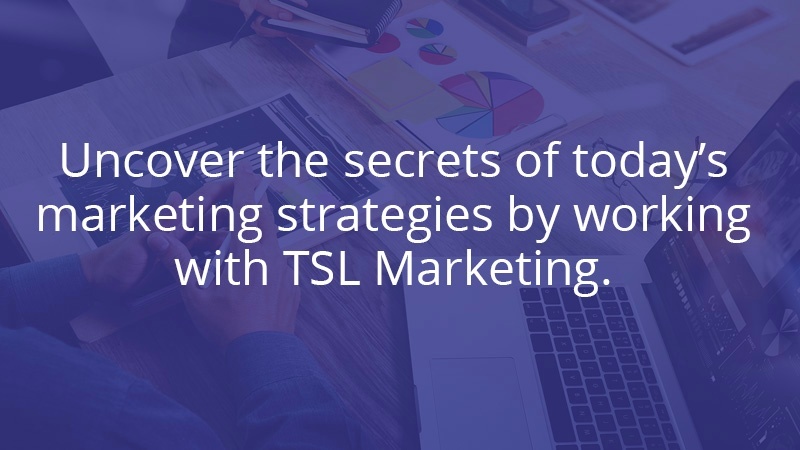 The whole goal of a marketing strategy is to guide your customer through the buyer’s journey so they ultimately choose your product or service during the decision stage and become evangelists for your brand. We know Ben Franklin as a statesman, founding father, and inventor, but he also goes down in history as an astute marketer. Many of the principles he used to promote his ideas and inventions still hold up today. Technology has changed, but the techniques of persuasion have remained consistent. People want to feel like they’re being listened to, and they want to be informed and entertained. 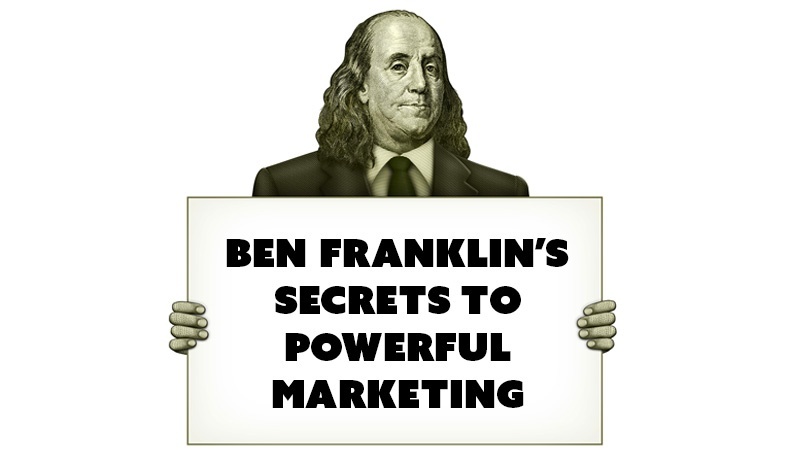 So, the next time you’re reworking your marketing strategy, keep Ben Franklin in mind. 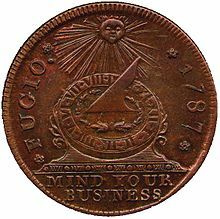 Ben Franklin had a coin called the "Fugio Cent" with a quote on it inspired by his works. That quote was: "Mind Your Business. "!